The United States called on the world to “pick a side” over Venezuela’s mounting political crisis on Jan. 26 and urged countries to financially sever ties with Nicolas Maduro’s socialist regime as the embattled dictator rejected an international ultimatum for elections. During a heated exchange at a United Nations Security Council meeting, Venezuela’s regime and Russia accused the United States of attempting a coup. Both Russia and China have invested heavily in the oil-rich country for years. 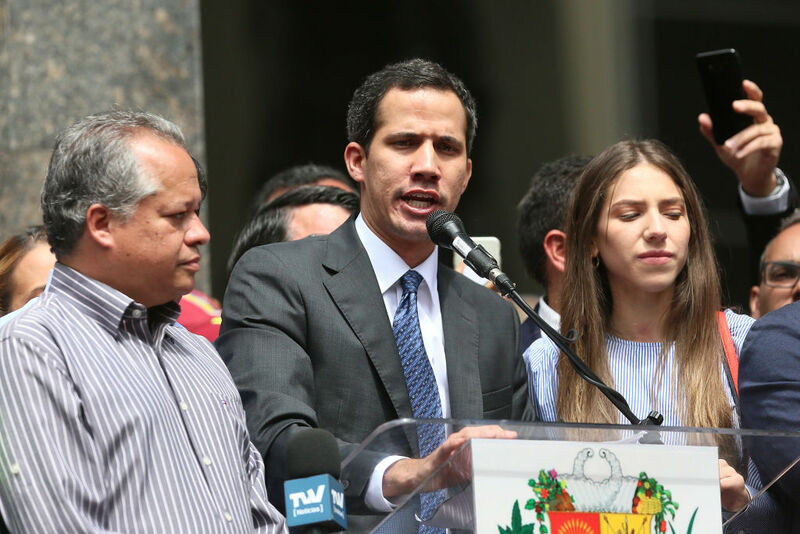 Venezuelan opposition leader Juan Guaidó, the leader of the National Assembly, proclaimed himself acting president on Jan. 23. The United States, Canada, and almost every Latin American country has since recognized Guaidó as the country’s rightful leader. Maduro, who has ruled the country since 2013 and is now in his second term as president, is alleged to have won re-election through illegitimate means. However, he still has the support of the Venezuelan armed forces. But on Jan. 26, Colonel Jose Luis Silva, Venezuela’s defense attache to Washington and a key military official, said he broke with Maduro’s regime and recognized Guaidó as interim president. 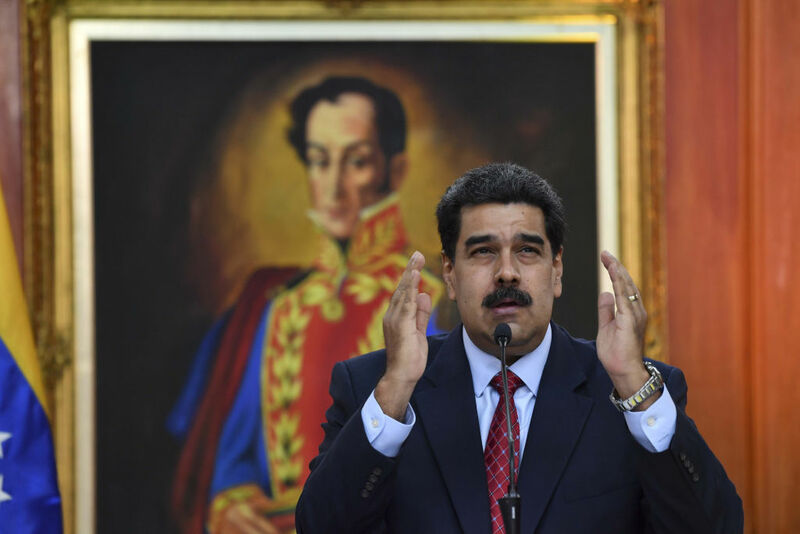 The exiled chairman of the Supreme Court of Justice of Venezuela, Justice Miguel Angel Martin, told The Epoch Times previously that Maduro is a “former president” and has called on the Venezuelan military to detain him. 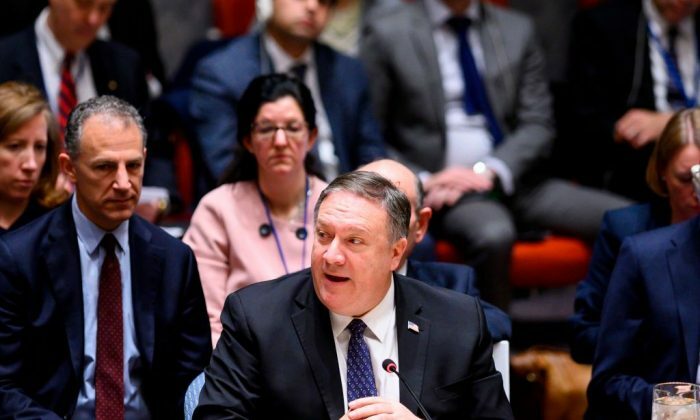 Secretary of State Mike Pompeo said at the U.N. meeting called by the United States that Maduro’s “socialist experiment” had caused the Venezuelan economy to collapse. The socialist policies introduced by Maduro and his predecessor, Hugo Chavez, have crippled the nation and driven millions out. Pompeo called for the international community to disconnect their financial systems from Maduro’s government. Diplomats said any council action to address the crisis would be blocked by veto-powers Russia and China. In the week surrounding Guaidó rise to the presidency, hundreds of thousands of Venezuelans took to the streets in Caracas and across the country, calling on Maduro to step down. Caracas reiterated that their government is still open to talks with the Trump administration. Russia has repeatedly warned the United States not to intervene militarily in Venezuela. Late on Jan. 26, Venezuela’s regime suspended its demand that U.S. diplomats leave the country within 72 hours. The Trump administration had refused Maduro’s Jan. 23 order, arguing the dictator had no legal authority. Venezuela’s Foreign Ministry issued a statement saying Maduro’s government was suspending the expulsion to provide a 30-day window for negotiating with U.S. officials about setting up a “U.S. interests office” in Venezuela and a similar Venezuelan office in the United States. The State Department didn’t confirm the Venezuelan government’s account, reiterating only that its priority remains the safety of its personnel and that it has no plans to close the embassy, according to the Associated Press.